"Mustang-inspired" EV to make profits fast too. 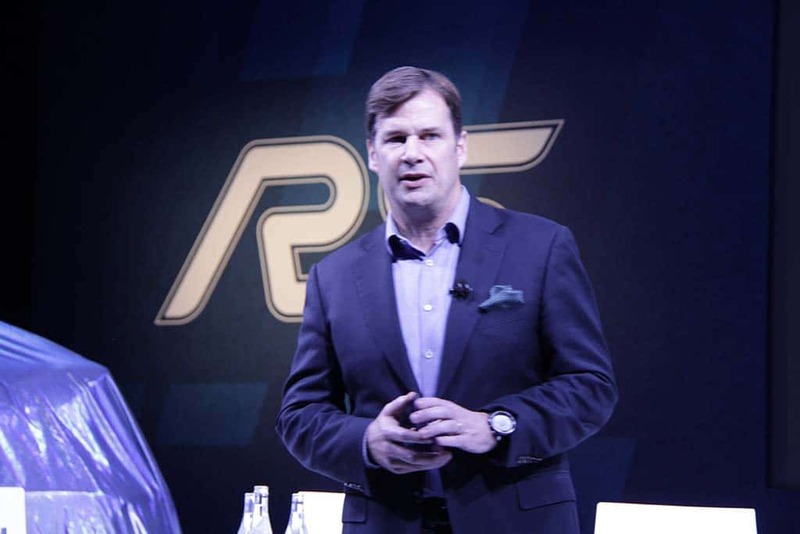 Ford's Jim Farley said the company is comfortable trailing the pack on EV development, as it has a different plan. Once considered one of the leaders in race to produce a viable electric vehicle, Ford Motor Co. has fallen behind rivals like General Motors and its new partner, Volkswagen AG. However, if you listen to Jim Farley, Ford president of Global Markets, the company feels just fine about trailing the pack. The company has spent part of the last year teasing an electric vehicle it’s prepared to deliver in 2020. It hyped it at last year’s auto show, suggesting it would be an electrified version of the Ford Mustang and use the name Mach 1. Ford executives have pooh-poohed that exact scenario, but once again at this year’s North American International Auto Show implied it would be comparable to the Mustang, in terms of speed, and have a range of more than 300 miles. Farley has said it’ll be a really fast utility vehicle. While all of that is believable, what is less so is Ford global product chief Hau Thai-Tang’s claim in a presentation to Wolfe Research that automaker’s EV business will be a money maker from the word go. The pre-eminent build of EVs, Tesla, finally turned its first real profit last fall, after more than five years of losses. Nissan and others with EVs aren’t turning a profit on their battery-electrics either and since Ford CEO Jim Hackett told the entire automotive world that Ford wouldn’t see any positive financial results from its tie up with Volkswagen until 2023, that makes Thai-Tang’s claim even tougher to put stock in. This entry was posted on Wednesday, January 16th, 2019 at and is filed under Automakers, Automobiles, Business, EVs, Electrified Vehicles, Executives, Ford, Markets, Personalities, Sales, Sales, Trends, U.S./North America. You can follow any responses to this entry through the RSS 2.0 feed. Both comments and pings are currently closed.